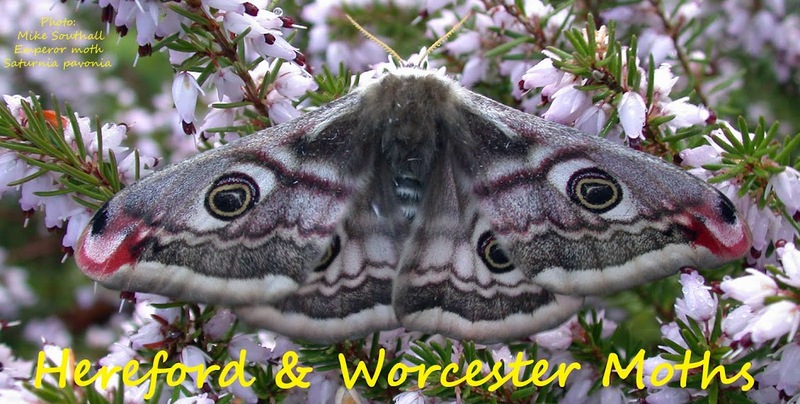 Hereford and Worcester Moths: Red or Large Red? Dave Barnett, who lives across the road from me was gardening this morning and came across this clearwing sitting on a low shrub. He photographed it and came quickly to tell me. When I returned it was still there!! I have it safely in a pot. There are tinges of red on the base of the forewing, especially from underneath. Having no experience at all with both of these species, could anyone enlighten me about its identification. I know Large Red Belted is earlier on the wing, but is still out late June. Dave has a large mature garden filled with all types of trees-Birch and one very small crab apple-away from where it was located this morning at about 12.30pm. If anyone wants to view it please get in touch.